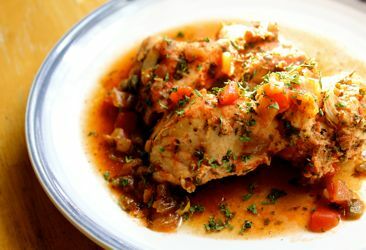 Place chicken in a slow cooker or deep stovetop pot. Dump 16oz of Theresa's Salsa in the cooker, let simmer until tender and juicy. Serve as you like, I suggest shredding the chicken and using for a taco, burrito or enchilada dinner. Get creative with your slow cooked salsa chicken and make whatever your family prefers. Remember to always shop local and use fresh ingredients!